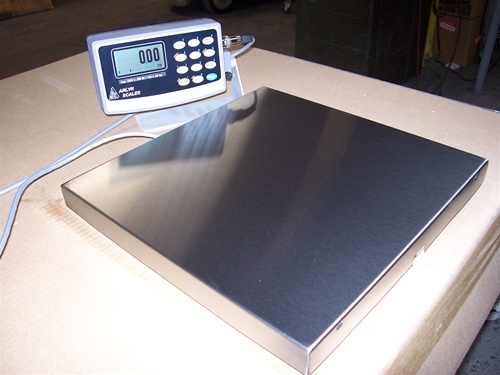 Many businesses and industries have reasons to seek various types of scales. To find these various scales, they will seek the services of scale suppliers. These scale suppliers need to be able to provide a wide variety of scales. The scales should be of high quality, while still remaining affordable for those who need them. Arlyn Scales is able to fit all of these qualifications and provide the exact scale that you need for your industry or business. There are many different reasons that individuals or businesses may have need of scales. Because of the many uses for scales, different people or businesses will be seeking many different types of scales. Customers should be able to choose scale suppliers, based on the variety of scales that they are able to provide and their quality. A scale supplier that is only able to provide a small variety of scales may not be able to provide what is needed for the work of a particular business. Arlyn Scales is able to provide a choice of a wide variety of scales and we will be able to provide the scale that is needed by a particular business or individual. We ensure that our customers are receiving scales of the highest quality. Our scales are made of the highest quality materials like stainless steel load cells. We guarantee that the craftsmanship that is used to make the scale is of the highest caliber. Arlyn Scales knows that one of the most important things a supplier needs to be able to do is to provide scales at an affordable price. Even if the scale is of the highest quality and exactly fits the needs of a business, it makes no difference if the business is not able to afford the price. Quality does come at a price. However, sometimes prices can be elevated beyond the level of their quality. Arlyn Scales makes it our business to ensure that the scales we carry are of the highest possible quality, while still remaining at the lowest possible price. A high quality scale does no good if those who need it cannot afford to purchase it. When seeking a scale supplier, be sure to look for the most important qualities in a supplier. A good scale supplier should provide a wide variety of high quality scales. A good variety of scales ensures that each individual customer should be able to find the scale that they need, no matter what the purpose may be. However, most importantly, the scales should be affordable, so that those who need them are able to purchase them. Arlyn Scales is able to provide this type of quality. So, choose us for your scale needs. Contact Arlyn Scales by visiting www.arlynscales.com today!